Arnaud was a good friend of mine at the university, before I started my PhD and met my friends Babak, Pascal and all the others. We were both friends with Sophie at this time. After his studies in computer science, he found a job in Stockholm where he met Vassilina. 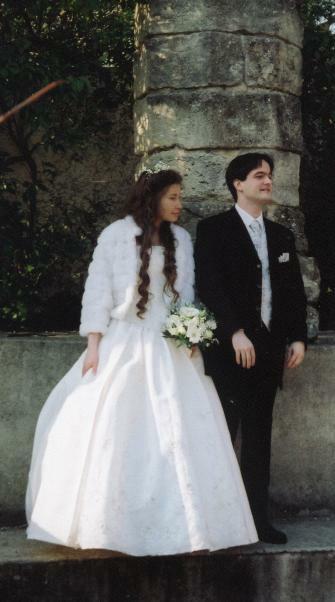 This picture was taken at their wedding in Nîmes. After Stockholm, Arnaud found a new job in Paris in a big company, and then had the opportunity to work from home and returned in his hometown of Nîmes, where I still meet him once in a while.